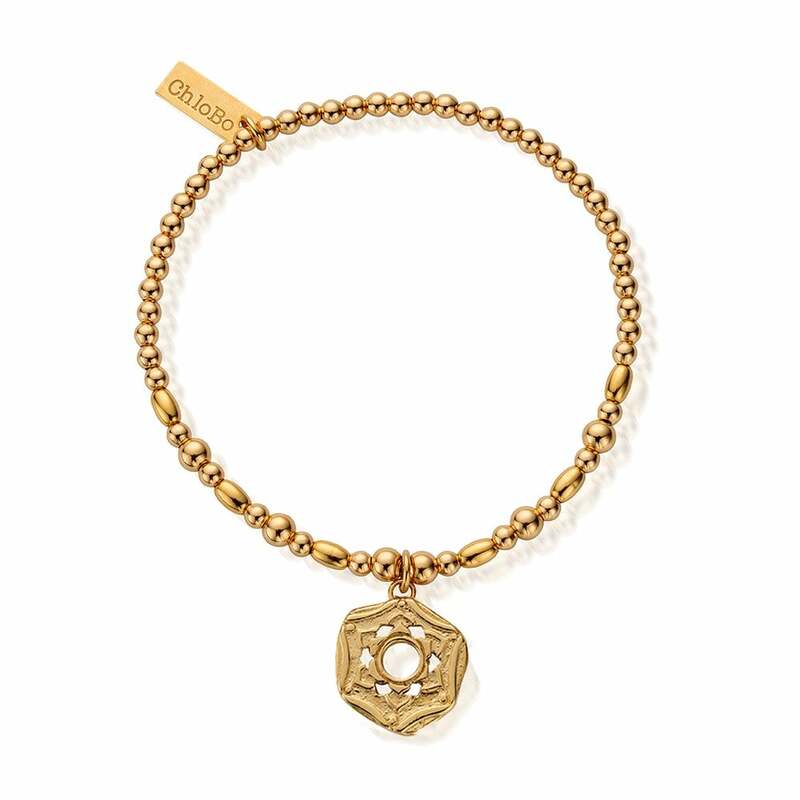 This hand carved Chakra bracelet is the perfect way to to express your spiritually, in connecting your inner and outer beauty. Featuring gold plated 925 Sterling Silver, the charm sits effortlessly next to a mix of mini noodles, sparkle hoops and classic beads. A uniquely stylish way to complete your collection this season.